Hana no Mai Brewery in Hamamatsu City ‘ the largest Sake Brewery in Shizuoka Prefecture and export a sizeabkle amount abroad. For quit some time they have been breweing their sake with their own ingredients. They grow their own Yamada Nishiki rice in the same city, uses Shizuoka yeats and the local water! They produce also many limited brews such this nicely warpped “shiboritate/newly pressed” Junmai (no alcohol added) Genshu (no water added! Taste: Strong fruity alcohol attack. Warms back of the palate. 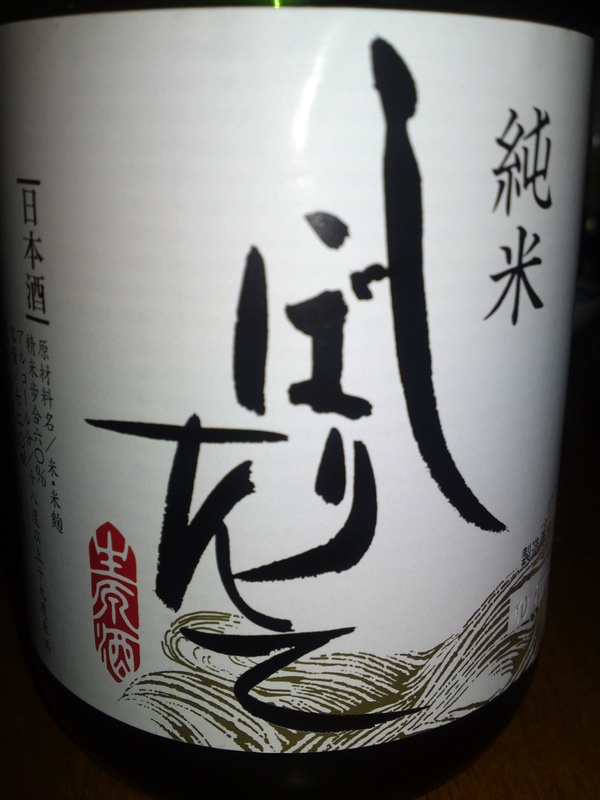 Dryish and strong junmai petillant. Lingers for a short while with lots of almonds and coffee beans. Oranges, Macadamia nuts, hints of dark chocolate. Drinks well with food with more Macadamia nuts. 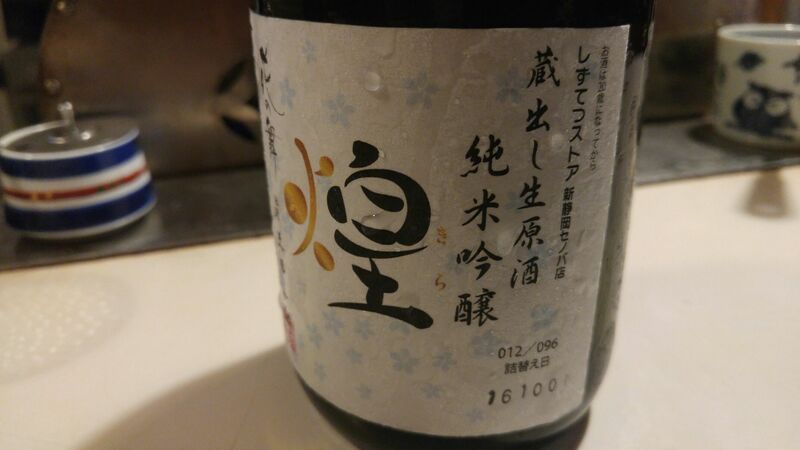 Overall: Unusually strong sake for Hana No Mai Brewery. Tends to vary with food. Best appreciated with strong taste food, although the latter might influence the taste. 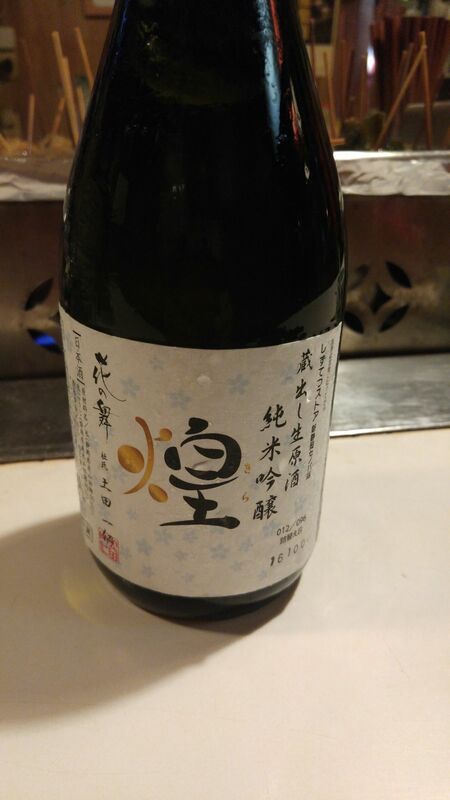 A good sake for Izakayas! It’ s been some time since I tasted a new brew from Hana no Mai Brewery in Hamamatsu city, but since they have come up with their first-ever Yamahai, I could not defer any longer! Taste: Complex and dry attack. Short tail. Fruity: coffee beans, melon, vanilla, almonds. Tend to sweeten a bit with late bitter chocolate. 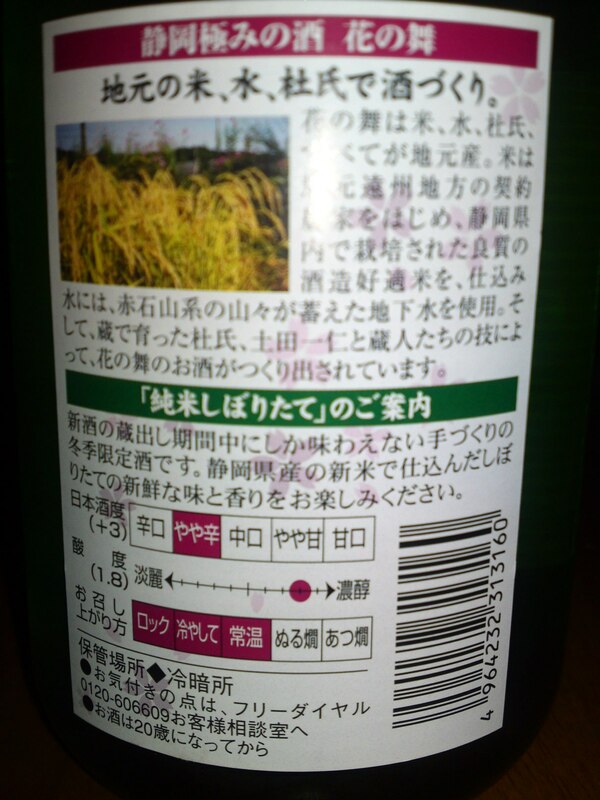 Overall: Although the brewery advises to drink it “atsukan/warm”, does very well at room temperature, especially with food. Karakkaze/”Dry Wind” has been one of Hana no Mai Brewery’s flag brews for quite some time. The brewery has even created a sake lovers’ association of the same name in Hamamatsu City. Taste: Dry. Lingering tingle. Alcohol. Fruity: vanilla, almonds, pineapple. Shortish tail. Warmth lingering in the back of the mouth. Turns drier with food with more pineapple, almonds and coffee beans making their entrance. Hints of melon/cantaloupe. 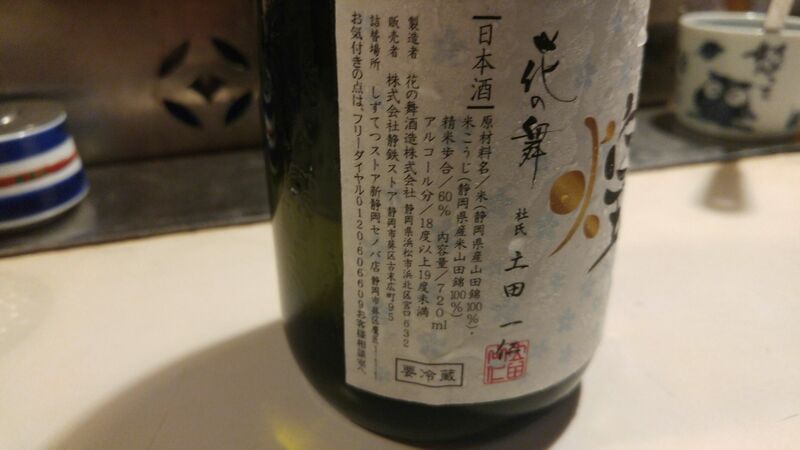 Overall: a very dry sake with good character. Probably best enjoyed with food. Last year, on June the 12th to be precise, I concocted “Umeshu” (Japanese plums preserved in sake and shochu) which happened to be so popular that the four litres I had lovingly matured for a whole year disappeared in a couple of weeks! A Japanese friend of mine, having been impressed with the results of my slightly unusual recipe asked me to put my talents to work with “biwa/loquats”! He brought me small loquats unfit for normal consumption but perfect for preserves. 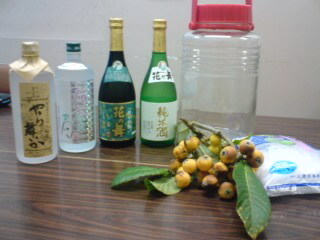 I added 1 kg of “koorizato/peserve sugar” to almost 2 kg of loquats (for umeshu, I used only 1 kg, as they had more “flesh”). Now, we shall have to wait until June next year! If you try your own hand, make sure your concoction stays in a dark place at a reasonable and constant temperature! Turns sharpish with food. Reminiscent of custard/vanilla/almonds. Tends to go through sweet/sour cycles with food later. 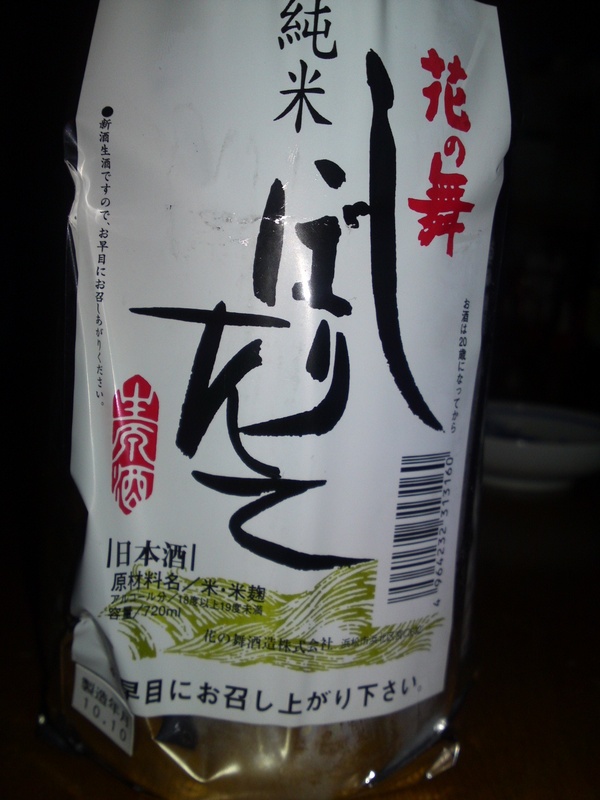 Overall: Sharpish dry sake, but tends to turn “sweet and sour” with food. Taste: Junmai tingle. Sharpish. Fruity: bananas, berries. Acidity develops later in mouth. Overall: A very easy to drink sake. Drier than expected. Goes down well with food. A group of sake lovers in Susono City (eastern part of Shizuoka Prefecture) asked Hana no Mai Brewery in Hamamatsu City to brew a limited junmai shiboritate genshu exclusively made with rice grown in and around Susono City and water collected from Mount Fuji. Taste: complex but light. Fruity. Bananas. Welcome tingle. On second drink bitter chocolate will appear.